First of all, many thanks to Antonia Del Corsano, a very witty high school friend, for helping me come up with the title. Several months ago, I wrote an article for Elite Daily (which was never published..ah well) about “Local Wanderlust.” I spoke about the millennial trend of moving to a new neighborhood every several years (usually due to growing rents), especially in large cities. Because of this, there is often the opportunity to explore new communities in an attempt to make the neighborhood your home. It’s tricky moving all the time, we’ve personally replanted our roots in three different areas in the past five years. See the world as a local. When visiting a new place, the goal it to seek out its true personality. Where is the dive bar with the bartender who will talk for hours? Where is the local theatre? Who makes cheese?!! Choose a new way to spend your free time: a new business, a new path, a new mindset. This variety will not only renew your life outlook, but also expose you to other’s viewpoints. Experience without critique. When an experience is negative, it is above all, incredibly important to remember that something is not right for you, opposed to for everyone. When we bring this notion into each experience, be it a restaurant or reading a political article online, deconstructing the concept of dualism (I am right, they are wrong), will create a better conversation for you and everyone else around you. Believe in the possibility of a town. Enter all experiences, and all businesses, with the idea that is beautiful to someone. But seriously, what will be on the website? Restaurant/ Small Business features: These will not be reviews. I truly believe that every business is right for a certain group of people, whether that is moms who love yoga or teenagers that love mac and cheese. I want to bring New Yorkers out into the suburbs and suburbanites into the small unknown cafes of NYC. It’s about exploration, not ratings. Local Adventures: Ben and I often spend the weekend traveling for his races or for weddings, and I wander the moment I get there. We’ve ended up in many small, tucked away spots in Virginia, New York, and Vermont, and usually these little places need some love. As a society with a little less money and a passion for supporting local farms and businesses, I believe local travel is an under-celeberated option. Lifestyle and Wellness Posts: Following the mission statement above, posts on non-travel days will include articles similar to many here (though I will of course continue writing here as well), about budgeting, being present, striving for mental health, and food! Local Recipes: Each weekend, Montclair has a pretty impressive farmer’s market. I would like post a meal each weekend based off of things solely purchased from the market. Guest Posts: Still looking for a fun name for these. Maybe “Postcards”? Hehe. I hope to reach out to readers throughout the country (and world?!) who are interested in telling me about their town and local fascinations. This is where I ask for your advice. And really, blunt honesty is completely welcome. I do hope to create a well-rounded, exciting place for people to change the way they experience their day-to-day tasks. So any feedback is very helpful. One of the biggest goals in the next two months is to purchase a used DSLR camera with an 18-55mm lens. Oh hey, any chance you are selling a camera?? Or have so many laying around that you just want to give one to a new blogger learning about digital photography?? If so, or if you have any advice on purchasing a refurbished DSLR, please comment below or private message me. I already have spoken with some very sweet photographer friends and will most likely go to B&H around birthday time. But I would like to look at other options as well. This is the camera I have my eyes on. If you are a blogger or website designer that has had a good experience with a particular theme on WordPress, please let me know! I am looking for something clean, simple, and soft. Here’s the current front-runner. As a blog reader (first of all- thank you for reading blogs), but also- what is your preferred way of finding out about new articles or website updates? Cupcakes isn’t going anywhere! This will also stay as my main focus for growing my writing and staying involved in the wonderful WordPress.com community. 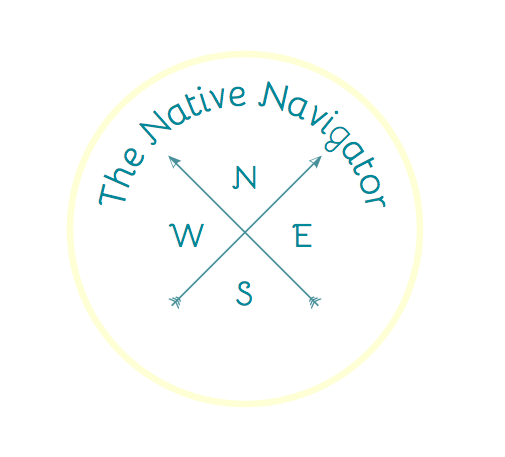 I don’t believe WordPress.org will have connection to the Reader feed, but I hope to find a way to connect to the wonderful group here via occasional posts about what’s going on over in Navigator Land. Thank you as always for reading and all your feedback. I look forward to get going on this new project!! This entry was posted in Uncategorized and tagged Advice, blog, travel, wanderlust, website, writing. Bookmark the permalink.